Each week of the legislative session, we’ll share digest of the latest water policy news and actions you can take. At the top of each digest, you’ll find the easy action of the week, it only takes a few minutes and it is the most urgent call to action. This week, we’re asking you to contact your Delegates. Ask them to protect public health by updating the human health criteria in West Virginia’s water quality standards. Easy Action: Click here to send a letter to your Delegates. WV Rivers executive director, Angie Rosser, sat down with the West Virginia Press Association to discuss water policy on their program, InDepth. Watch the interview here. Last week the West Virginia Senate voted to pass the water quality standards rule (SB 163) without updated protections for drinking water. The 20-12 vote advances the rule to the House. Thank you to the 12 Senators that voted no on the bill. Prior to the vote, Senator Baldwin submitted a petition collected by WV Rivers. The 898 petition signers are all of you that took action through WV Rivers’ action alerts demanding updated human health protections for our drinking water – thank you! The water bill’s track through the Senate was controversial. The Senate Judiciary Committee did not allow f the opportunity for public debate and expert testimony. Instead, off-the-record and closed-door meetings with industry representatives convinced committee members to quietly remove updated human health protections and quickly pass a substitute bill. Read our letter, co-signed by 26 allies, to Committee Chairman Trump on the committee’s disappointing handling of the bill. Now that the House is considering the water bill, we encourage them to allow for scientific testimony by public health experts and provide opportunities for public debate. Respect West Virginians and keep the legislative process public! Let your Delegates know that you are watching and will hold them accountable to protect public health. Tell them you want updated human health protections in West Virginia’s water quality standards. Send a letter here. Delegate Evan Hansen is the lead sponsor of the Environmental Rights Amendment. On Monday, 32 Delegates introduced an amendment to the state’s Bill of Rights that grants West Virginians the right to a clean environment. The Environmental Rights Amendment (HJR25), co-sponsored by 32 House Democrats, is modeled after an amendment in the Pennsylvania constitution. 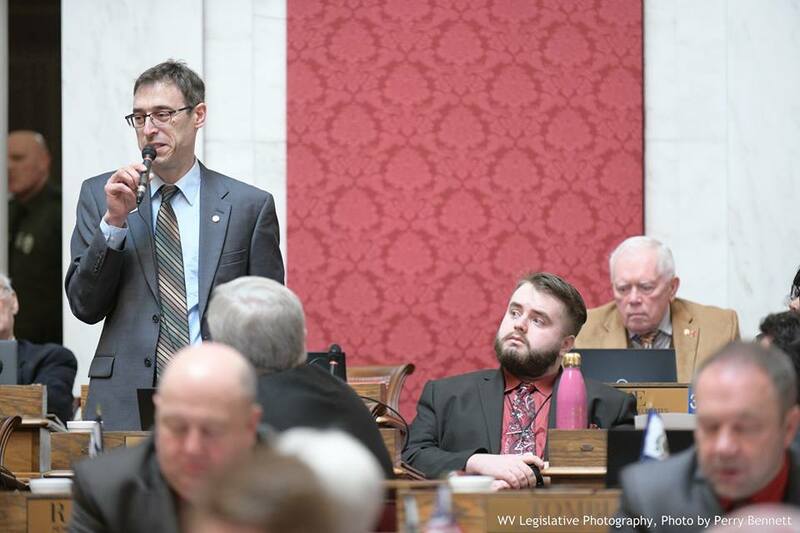 If the legislature passes the resolution, West Virginians will have the opportunity to vote on the amendment during the 2020 general election. Below you’ll find bills introduced to the 2019 legislature that have water quality implications. We’ll provide you updates on these bills as they move through the legislature. Head over to WV Rivers’ policy webpage where you’ll find a handy tool to help track these bills. Has passed Senate and is now in House Energy Committee. In Senate Government Organization Committee. Has passed the House and is now in the Senate Government Organization Committee. In House Health and Human Resources Committee. In House Industry and Labor Committee. In House Agriculture and Natural Resources Committee. In Senate Health and Human Resources Committee. See an action alert from Headwaters Defense here.